What a beautiful day today was for a bike ride! While yesterday was lovely as well, I had an especially wonderful time riding through the countryside today. 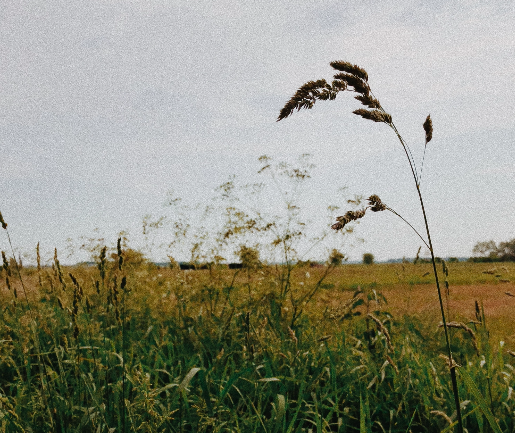 The scenery we rode past was exactly how I had imagined the Netherlands to be– quaint, beautiful, and green. We had wonderful weather and were so lucky to be able to see rural landscapes, historic villages, and even some more bustling city centers. My favorite part of the day was when we biked past Soestdijk Palace. Coming across this beautifully manicured row of massive trees was completely unexpected, and I could not believe my eyes when we turned around the corner. It was one of the most beautiful things I have ever seen. The enormous scale of the trees made you feel so small– it was truly humbling. 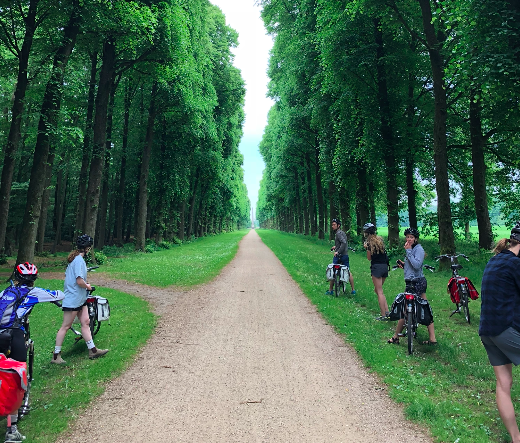 As we rode along the path through the trees, I could not help but imagine Dutch royalty riding along that very same road many years ago in horse and buggies. There have been several instances on this trip already, whether it be riding through quaint villages or riding along this path, that I felt almost like I have stepped into a time machine. The unique culture and history of the Netherlands is apparent everywhere you turn. Another highlight of the day was riding across a dike on a self-cranked boat platform. To our surprise, we came upon a point on the bike path in which the only option to cross involved going over water! 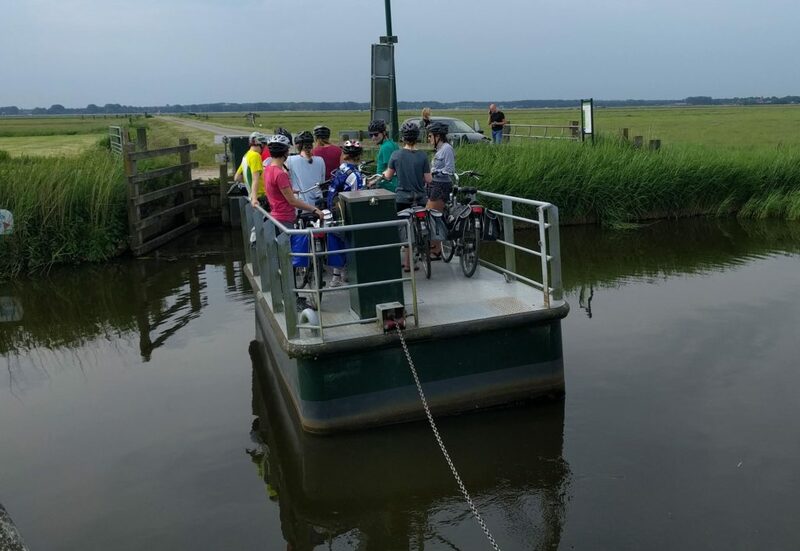 To our amusement, we encountered a hand crank-operated ferry to cross a large canal on our ride! It was a fun experience, and it was also nice to chat with the kind Dutch man who was cycling (though much faster than us) on the same bike path. All in all, today was a wonderful day. I am so thrilled to have experienced so many diverse landscapes, and I cannot wait to see more in the coming days. Previous PostPrevious Biking Past Sleeping Sheep!